The less-public-than-Facebook-but-still-public story of my adult life. 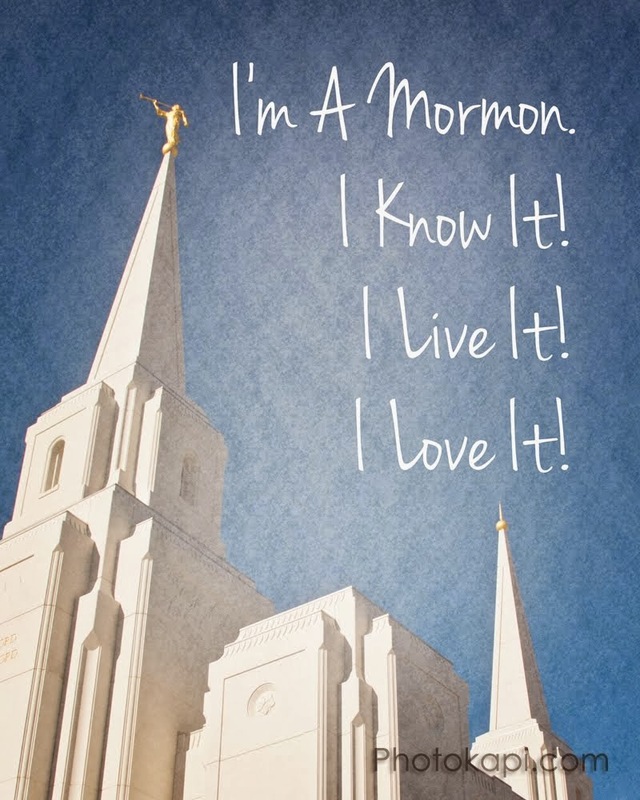 I'm grateful for the temple. It's so much easier to feel God's love there than anywhere else. I'm grateful for my awesome home teacher who gave me a ride today! Saint. I'm grateful for the kind man I talked to while waiting for my ride. I'm grateful for the apple bread the ward missionaries brought over. I'm grateful I got out of History class early (even though I like that class). It's just nice to have more time to do things than I thought I would have. I'm grateful Jeff is coming up to visit tomorrow! Pictures I take as I'm walking to class. I try not to stop walking too abruptly, so that I don't get run over by bike, scooter, or pedestrian. Every time that I'm tempted not to take the picture, I remember Whitney's story she told me, when she saw a beautiful tree on the campus of Snow College and decided she'd take a picture of it the next day. She was all prepared the next day, but when she got to that spot, the tree was gone. All the grass around it was gone too. I think there may have even been a crater there. I'm not lying, ask her about it! So I've learned my lesson from her. Here are the pictures I took today. This last one was so much prettier in real life. the sunlight only made it more beautiful and vibrant. I stayed pretty busy the whole day. I've felt on top of things (for example, I actually paid attention in all my classes), and its been a great feeling. Jeff and I had a misunderstanding on our blog, and had to talk through it. It's just so funny. I've never been through such a gracefully settled conflict. We're great for each other, I think. I am grateful that it didn't snow until today. I got to enjoy a beautiful two months of late summer/early autumn up here. I'm grateful I got to help the other Music Therapy students today, singing at the old folk's home. I'm grateful I got to witness them smiling and enjoying themselves. It strengthened my belief that music really does have powers that I can learn to use, to help others. I'm grateful for beautiful poetry. I'm grateful that some people have such a gift with words, and that they share it with the rest of us. I'm grateful for Dr. Huff's choice in songs in choir (with the exception of "Sleigh Ride"). I'm grateful I have several coats to choose from. I'm gonna need 'em. I'm so grateful God answers prayers! I'm grateful for my Dad. He's a wonderful example of dedication in his church calling. He's a happy person. And he has taught me to serve others. A memory that comes back to me is the Christmas morning that he insisted we shovel the driveways of just about everyone on our street! I'm grateful for his example. I'm grateful that I did so well on all my tests last week. I'm grateful for my Old Testament class and for the amazing truths and symbols in the Bible. I'm grateful to be living in such a beautiful place at such a beautiful time of the year. And I'm grateful I found my gloves! Because it's not going to stay beautiful for too much longer (as far as temperature is concerned). This is Jeffrey with my mission president's wife, at a recent mission reunion. He's pretty awesome.... Definitely one of the miracles in my life right now. I love it so much when the leaves change color. The Church's message is one of love, not hate. My thoughts: We all do things that are wrong, and we all need help from God and from our fellow men to overcome our temptations. We should all be striving to help each other and ourselves to work though and overcome our problems, not just pretending that our problems aren't actually problems. The miracle is that we CAN overcome any problems we face, through the Atonement of Christ. "I can do all things through Christ, who strengthens me." I'm grateful the cookies are all gone now. I'm grateful I got my mandalas back (side-note: my professor said she spent three hours examining/interpreting my four mandalas! But she didn't tell me what they meant!). I'm grateful the last one came out so peaceful and beautiful. I'm grateful for Whitney. I'm grateful she'll be home soon! I'm grateful I woke up happy this morning! I'm grateful I had time to study for my tests tomorrow. I'm grateful my raspberries haven't gone moldy yet. I'm grateful that the autumn trees are so beautiful. I'm grateful that I'll be able to spend time with my family this weekend. Yea, and behold, if he had not been a prophet he could not have testified concerning those things." All of us have need to repent. He is a prophet, seer, and revelator, and the words he has spoken are true. We either repent and align ourselves with God's will (as expressed through the words of His prophets) or we don't, and become unprotected, weakened, and alone. If we reject the words of the living prophets we will lose the companionship of the Holy Ghost. And really, what good is life without that? I for one count it as a miracle that we have living prophets today who are courageous enough to speak the Lord's will even when it is unpopular with the world. And of course, one of the greatest miracles of all is the Atonement of Jesus Christ. Through Him, we can not only be cleansed from sin, but our very natures can be changed. There is hope for everyone! All it takes is a sincere desire to change (and the willingness to try), and faith in Jesus Christ, and He will help us in ways we can not help ourselves. He can purify us, sanctify us, change us, give us another chance. We can be born again. He does not discriminate against anyone. Everyone has this same opportunity to turn to Him and let Him change you into someone who can enjoy peace, joy, and happiness in this life, and ultimately eternal life. Everything that seems unfair about life can be made right through the Atonement of Jesus Christ. I'm grateful I got to go to church today, take the Sacrament, and remember and testify of Jesus Christ. I'm grateful I had so much fun with Jeff and my roommates. I'm grateful for that eternal cookie recipe. They never stop being delicious, and everyone loves them. =) I'm grateful for white chocolate chips. I'm grateful that I'm learning how to cook without getting stressed! The fettucine alfredo turned out great! I'm grateful to have so many exceptional people in my life. I'm grateful I'm becoming a better person, through Christ's grace. I'm grateful He helps me think less often about myself and more often about others. Definitely still not perfect at that, but I'm grateful that I'm being changed. I'm grateful for the testimony of my bishop about the modern-day prophets. I'm grateful to have a testimony of my own that they are God's spokesmen on the earth today. I'm grateful for them and their sacrifice. I'm grateful that I feel so loved. I used to send monthly emails to all of you, to let you know how I was doing! Then while I was in Florida you received weekly emails. Then I came home, and you have heard nothing. I've given your email inboxes a rest. =) I would like to let everyone know how I'm doing on a regular basis, but I don't want to be bothersome. I'm trying to decide whether or not to only put updates on my blog (aliandria.blogspot.com) and my family's blog (elkridgehansens.blogspot.com), or to keep emailing updates monthly. If anyone has a preference, let me know. Also, I would absolutely love to hear from all of you. I feel like this is a beautiful way to use technology: keeping in touch and having conversations with those who are important to us, but don't live close by. I don't want this to be all about me, I just want to become even closer to all of you. Most of you have seen me since I came home, but not everyone has. So I'll start there. I got back from Florida at the beginning of December. I spent all of December living at home and I was able to spend Christmas with my family. I think I also drove my mom crazy by trying to reorganize the basement (I had to keep busy!). In January I went to Snow College and was there for just one semester. I was roommates with Whitney, my amazing sister, and that was awesome. I really enjoyed going to school with her. =) While at Snow College, I also dated Jake, the tall redhead that most of you saw me with in December. Another thing I did at Snow College was prepare for the Music Therapy program audition at USU. I found a wonderful voice teacher who helped me prepare on my voice, the piano, and the guitar, and I auditioned in February. Miracle of miracles, I made it into the program! The summer ended, and I moved up to Logan to attend Utah State University, studying Music Therapy. This semester I'm mostly just cleaning up the messes and gaps that transferring schools made. I'm taking a lot of freshmen classes, in other words. But next semester I should be able to really start getting into my Music Therapy classes, and will get to start going deeper. I'm looking forward to that. I have a great ward, and I was called to serve on the Relief Society Meeting committee. I'm excited about that, and grateful I can help ensure that our meetings are focused on our purpose, and full of the Spirit. My roommates are great; they're all very considerate and happy people. I don't get to see Jeff very often because he's attending BYU, working on his master's degree in Psychology, but we try to see each other on the weekends. So...that's what I've been up to for the last ten months! For the most part. I would love to hear how you are doing. Please let me know! And I hope these long emails aren't overwhelming. Ignore them if they are. Love you all, and hope to hear from you! I am grateful for mushrooms, butter, and how good they taste when cooked together. I am grateful for the beautiful days in autumn. I'm grateful I've never tried any drugs and become addicted. I'm grateful no one in my family drinks or smokes. I'm grateful that the Spirit was present in Institute today and told me to get working on following the prophet's counsel to express gratitude! I'm grateful I got to sleep in today. I'm grateful it didn't snow. I'm grateful I have a roommate who loves to testify of Christ! I'm grateful the text for General Conference is online now, and that the online Study Notebook works with it. I'm grateful I have a friend who doesn't mind giving me a ride to the temple. I'm grateful for my mom's example of faith, diligence, and hope. She's constantly seeking for more and more truth from God. I'm grateful to be dating someone who has never disrespected me in any way. I'm grateful for the cheerful place that I found to study. I'm grateful I got to help serve in the Institute building by signing up to play the piano in the lounge for half an hour each week. I'm grateful Christmas is less than three months away. This is the video I mentioned in the last post... It makes me smile! To start off, I am really grateful that conference was a challenge for me, because now I am studying it more fervently, and looking deeper than I probably would have otherwise. I might have said to myself "I already got something from this talk, so its okay if I don't find anything new." Not so! I didn't find anything the first time. It was hiding from me. And by golly, I'm going to find it! And with the Spirit to guide me, I'll be able to find it. I'll be able to find exactly what the Lord needs for me to learn. It may or may not be big and grand on the surface - but if I repent and change according to what they say it will be a pivotal 6 months of my life. =) In addition to being a pivotal conference for the whole church, as I'm sure it is/was/will be. Just to kick off this gratitude endeavor, I am also going to include one of my favorite videos. "No matter our circumstances, no matter our challenges or trials, there is something in each day to embrace and cherish. There is something in each day that can bring gratitude and joy if only we will see and appreciate it. Perhaps we should be looking less with our eyes and more with our hearts." I belong to the Church of Jesus Christ of Latter-day Saints, I am a music therapist, I'm part of the Wholehearted Revolution, and I'm grateful that I can keep learning eternally! Mosiah 4:9 - Believe in God; believe that he is, and that he has created all things, both in heaven and in earth; believe that he has all wisdom, and all power, both in heaven and in earth; believe that man doth not comprehend all the things that the Lord can comprehend. 2 Nephi 2:24 - For behold, all things have been done in the wisdom of him who knoweth all things.